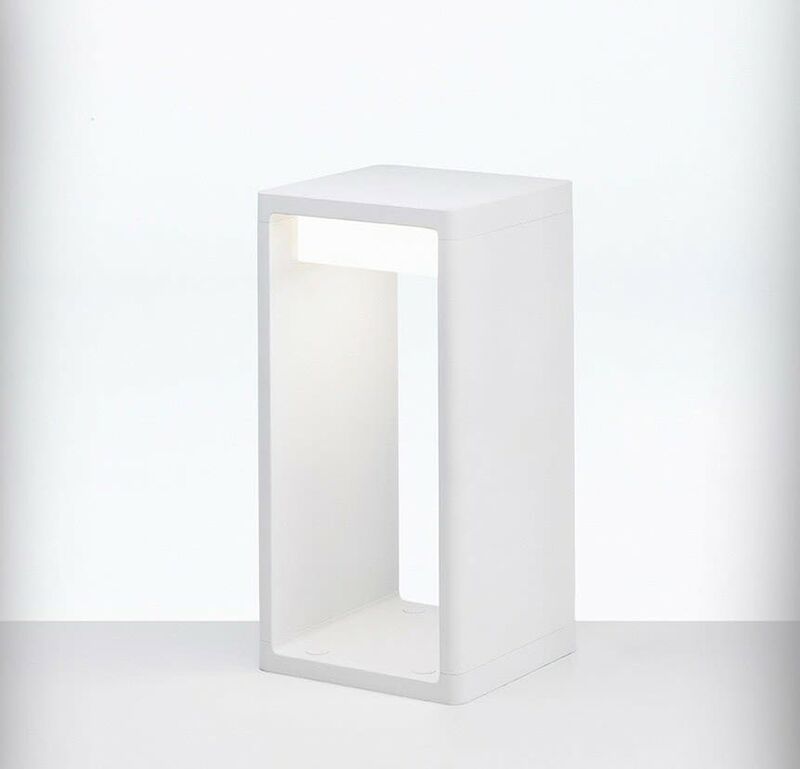 An outdoor low level feature luminaire in the shape of a hollow rectangular prism with rounded edges. The structure is made from aluminium and the diffuser is made from pressed glass. This light fitting will intensely illuminate the interior hollow and softly and asymmetrically illuminate the surrounding area. Frame is available in three different sizes: S, M and L. Finishes: Satin white, texturised bronze, forged oxiron grey, corten-finish.